Oppo A5s Smartphone Goes Official; Specifications and Price - Playfuldroid! Oppo has silently launched the Oppo A5s smartphone in Taiwan. 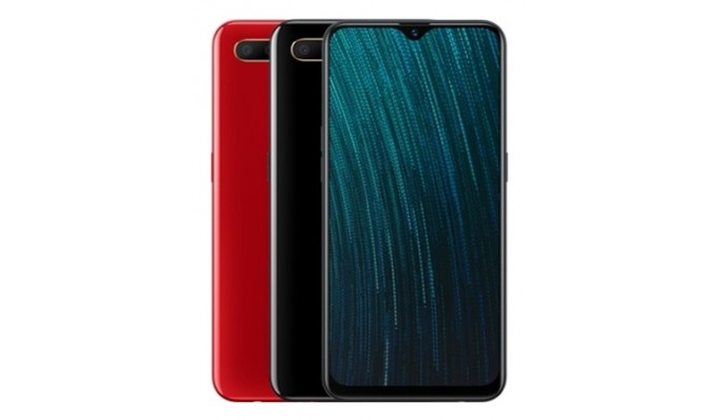 It is essentially the very same Oppo A5 phone that was unveiled in July last year. Instead of the Snapdragon 450, the Oppo A5s will come equipped with MediaTek Helio P35. The Oppo A5s is an entry-level phone from the company that comes with a 6.2-inch IPS LCD screen. The waterdrop notched screen delivers 720 x 1520 pixels. The A5s is driven by Helio P35 chipset that includes 2.3 GHz octa-core processor and PowerVR GE8320. The rear side of the phone is fitted with 13-megapixel + 2-megapixel dual camera setup. There is a front-facing camera of 8-megapixel on the device. The Android 8.1 Oreo OS comes loaded on the Oppo A5s along with ColorOS 5.2 The SoC is supported by 3 GB of RAM. The handset includes a native storage of 32 GB. For more storage, there is a microSD card slot. The smartphone is loaded with a 4,230mAh battery that does not feature support for fast charging. The pricing of the Oppo A5s is currently under the wraps. Its color variants are Black and Red.